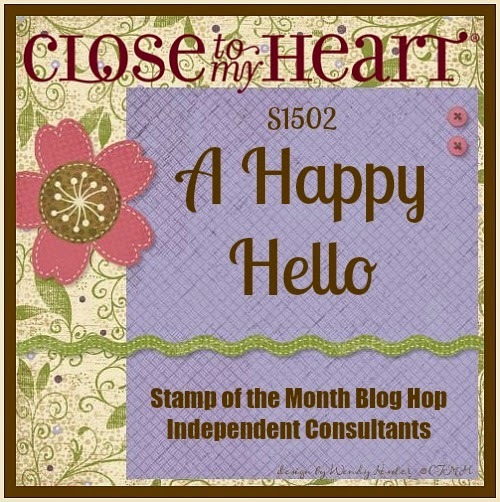 Paper HeARTIST: February's Stamp of the Month Blog Hop..."A Happy Hello"
February's Stamp of the Month Blog Hop..."A Happy Hello"
With over 60 participants in this blog hop, you are sure to find lots of great inspiration to start the new year!. It makes a circle, so if you are starting here just continue until you make your way back and you will have made it through them all. If you have already started and are coming from Justine Hovey's blog, then you are on the right track. 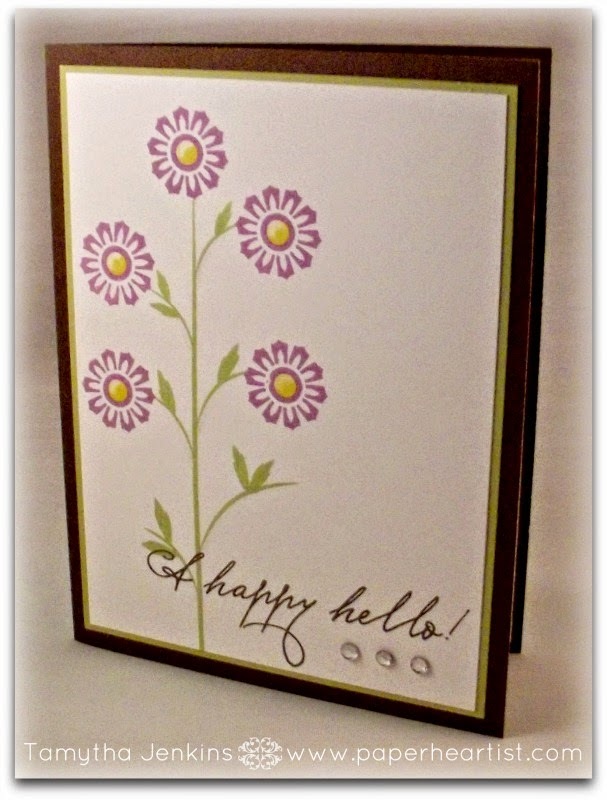 This month, Close To My Heart's Stamp of the Month set is full of flowers and how can you go wrong with flowers? Even though flowers should be a no-brainer, I checked out several challenge blogs for inspiration. Even though I didn't end up using any of the sketches and color palettes, I was inspired by so many of the clean and simple cards that I saw. When I saw that Heart 2 Heart Challenge blog was having a CAS challenge, I decided to go with it. If you have time, take a moment or two to check out the rest of my blog. If you enjoy your visit, then please consider "Following Me", signing up to receive blog updates, and/or leaving a comment (we all love comments...the nice ones anyway), then be sure to continue along on the hop by heading over to my fellow consultant, Nikka Geers' blog, and check out her project. Love that second card. There is just something about it. Thanks for sharing with us at Heart 2 Heart. Great cards, they are both awesome. I love both of your cards, but the second just has a special look that I would choose as my fave! A perfect example of less is more. Stunning cards! 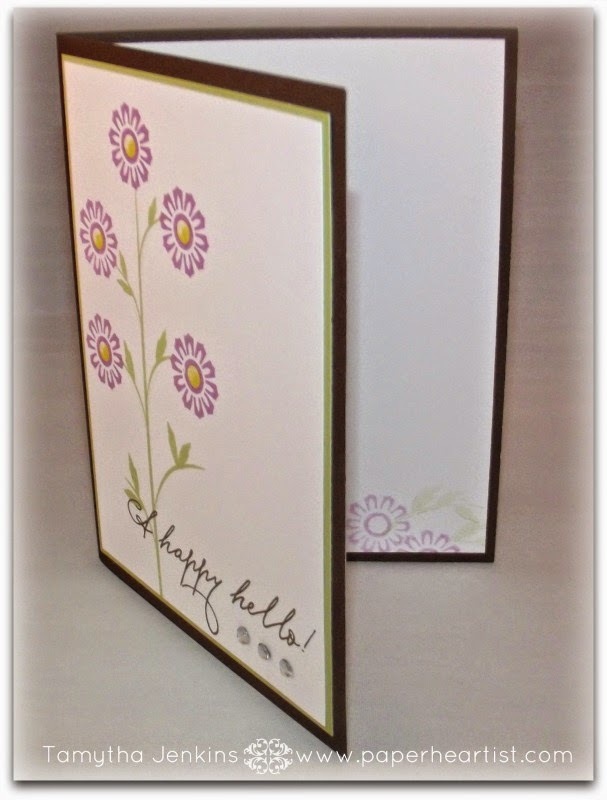 Very pretty single layer cards with just enough bling! Thanks for sharing with us at H2H challenges! I love your second card as well! Both are well designed. Very nice cards. Really like your 'off center' flowers of the second card.